The game and I are evolving. Hello everyone, and let me welcome you to Pokémon in 2014. This year is absolutely full of firsts for Pokémon. From prize structure changes, to X and Y, to tournament structure changes, a lot is going down in Pokémon TCG’s 15th year with the Western world. A lot is happening to me too. Life update: I would love to write more, but I’m trying to focus much more on school and my personal life as of late. When I have time to devote to Pokémon, I do, like on this winter break. You can expect to see more from me around the time of States and probably not a whole lot more until Nationals and Worlds. I’m not looking for my Worlds invite this year, and Washington D.C. isn’t exactly somewhere I’ve been dying to go back to, so I’m not taking traveling seriously this year. It’s not worth the time or the money to me. As of January 3rd, I’ve only been to a single City in my home state of New Hampshire, which I won with Gothitelle. I plan on going to a few more before I go back to school the on the Monday after Virginia Regionals. I’m not a creative man when it comes to Pokémon. I play decks with twists, sure. But I certainly don’t win events with rogue ideas, smashingly creative combos, or by salvaging decks from the cruel grip of Bad Deck Monday. 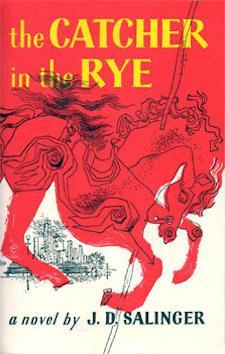 I play, and write, about what I know: archetypes. I won’t ever sit down in front of the fire, a week before Winter Regionals (at the time of this writing) and talk to you about this crazy idea I had, which you of course are not considering playing, and will not realistically win you Regionals – No. I’ll just stop there. I’ll do what I think I’m pretty good at in this article. I will break down a few of the most popular decks as I know them; give you a unique list for Gothitelle which won me my first tournament of the year; and give you a few other adaptations of the top tier decks that Dylan Bryan missed on Tuesday; along with, of course, their current standards for greatness. Dylan Bryan, who coincidentally shares my first name, covered his big three on Tuesday, and I’m here to finish it. The decks he covered are Genesect/Virizion, Darkrai/Garbodor, and what most call “The Yeti,” all of which are decks that revolve around Basics. He did a great job of showcasing the three best decks that don’t rely on the Evolution mechanic, but I certainly don’t think that those are what sits at the top of the top tier. I, on the other hand, will cover the best Evolution decks in the format. Overall, I think that the decks I cover will be underplayed, either due to Tropical Beach’s scarcity or because of the sub-optimal time structure for Winter Regionals. They are still important to cover for completion’s sake. Unfortunately, this article probably won’t appeal to everyone. If that’s the case, I recommend checking out Tuesday’s article. Speaking of Winter Regionals, I want to add that the best-of-three structure is a big deal. If you haven’t already, play serious games under the unique time limit. It’s one thing to play best-of-three matches casually, but playing with strangers (many of whom can and will play the clock aggressively) is a totally different beast entirely. So if you are testing a set up deck – Blastoise, Gothitelle, RayBoar – whatever it may be, learn to pick up your pace. Realize that the clock isn’t always fair minded, or particularly kind. Take advantage of your opponent’s turn to plan your moves. Some people say that it’s smart to watch your opponent play with a keen eye, and it is. But as you watch your opponent, think about how you’re going to respond to each of their plays. Time is a much more valuable commodity now, one you can’t afford to waste. Feared but not always favored. You’ve heard it a thousand times. Blastoise is arguably the longest standing, consistently good, yet least-played Tier 1 deck in the format. The original Blastoise/Keldeo deck only stuck around for four months before Plasma Storm blessed it with Black Kyurem EX. The trend continued when we received Plasma Freeze and Superior Energy Retrieval, doubling the deck’s late game potency. Blastoise variants didn’t have their first major “nerf” until the Catcher errata, but in fact, it could be argued that Pokémon Catcher turning into Pokémon Reversal only helped the deck, because the card helped decks such as TDK knock out Squirtles early. The Catcher effect is of tremendous value to Blastoise, and today, the deck is played with Catcher just about as often as it is played without. I’ll show you two Blastoise lists, one with Catcher and one with something a bit different. EXs are undoubtedly still the main attackers of Pokémon TCG, and the “7 Prize” game is still a very real aspect of the EX era, not to mention one of the best ways to take down Blastoise decks themselves. For this reason, it is important to have some element of board control, be it Catcher, Red Signal, Sinister Hand, or what have you. As most of you are aware, Blastoise has traditionally been a deck that sets up and wins. Once you set up a Blastoise and get 4 Energy in play, your chances of victory increase dramatically from where they were in the first few turns of a game. The main way to combat Blastoise decks’ ability to stream Black Ballista is by using 3 EX Pokémon and 1 regular Pokémon to attack with over the course of a game. Using a Safeguard Pokémon is particularly effective, because it requires the Blastoise player to invest cards into something that doesn’t really get them anywhere. They have to get the non-EX out of the Active spot to progress towards winning the game. The best way to do that would be Catcher, but since the errata, people have shown a tendency to shy away from coin flips. Now most people will just invest in something like Black Kyurem or even Blastoise to knock it out. Even if this was obvious to you, having some kind of Catcher effect is clearly valuable to you winning the game in as little as three turns once you set up. That fourth turn that an opponent can buy by throwing up a non-EX can be a huge hindrance to Blastoise, especially if that non-EX is something like an opposing Black Kyurem, a Rayquaza from RayBoar, or a Bouffalant that can trade 2 Prizes for 1 with your Keldeo EX or Black Kyurem EX. Catcher has become a phony. No matter how you look at it, Catcher is no longer the beast we once knew. It’s the Pokémon Reversal of old, a neutered husk of its former self. Sure, if you play three Catcher, the odds look pretty good on paper. If you play all three in a game, you have only a slim theoretical 12.5% chance of them all failing. However, Catcher is, has been, and always will be a situational card. On most turns you will want to be knocking out the biggest threat on the board to apply pressure, and that threat is most likely to be directly across the table from your own active Pokémon. If history has taught us anything, situational cards best not have the text “Flip a coin, if heads…” on them. Historically, this has been a recipe for unplayability. As long as you play Catcher, anything that can happen, will happen. That 12.5% chance of failure will strike eventually. The figure doesn’t look all that intimidating, but take into account that Catcher is a situational card and has to hit on a specific turn for maximum effect. Personally, the unpredictable nature of the card scares me away. There are very few decks that rely on EXs that sit on the Bench these days, and Lugia/Snorlax (the very internet famous “Yeti”) is one of them and Catcher is quite good in this matchup. The Yeti relies on the sanctuary of the Bench to utilize Lugia EX, and Catcher tears that away from them. These examples are becoming harder to find in the 2014 metagame however. In most cases, Blastoise decks don’t care what they knock out, so long as the deck yields a two Prize card gain for its troubles. Most of the time knocking out the Active is what you want to be doing, and on most turns Catcher isn’t something you want to be playing. 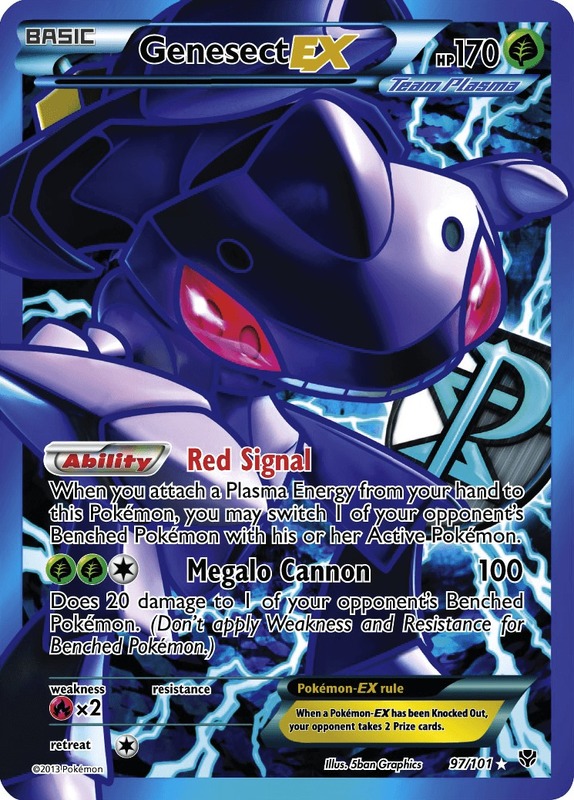 If Catcher isn’t reliable enough for you, how about Genesect EX’s Red Signal? It seems bizarre to use a Pokémon’s passive ability that activates with Energy attachments as a functional Catcher. I’ve found Genesect to be a good alternative in decks that don’t necessarily need to use the attachment allowed per-turn to be successful. Water Energies rain down through Deluge, and generally you can attach Lightning Energies in a way that doesn’t conflict with the Plasma Energy attachments. A problem with Genesect EX is the space his body takes up on your Bench. It’s a bit hard to play both Jirachi EX and Genesect EX in the same game, along with Blastoise, which is yet another Bench sitter, perhaps another Squirtle, depending on the matchup, and still have room for your main attackers. It didn’t seem feasible to use Jirachi EX and Genesect EX together, so it came out. To compensate for the loss of Jirachi and for Genesect needing to come out when I want it to, I included a fourth Ultra Ball over a Level Ball. Once Genesect hits the Bench though, it does its job. 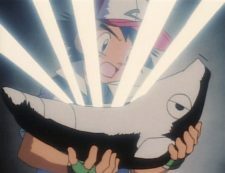 It’s not fair to compare it to the power of the old Pokémon Catcher, simply because that card no longer exists. Genesect is the most reliable way to pull Pokémon off an opponent’s Bench in this format. Your other options would be Bright Look, courtesy of Ninetales DRX, or Pokémon Catcher. 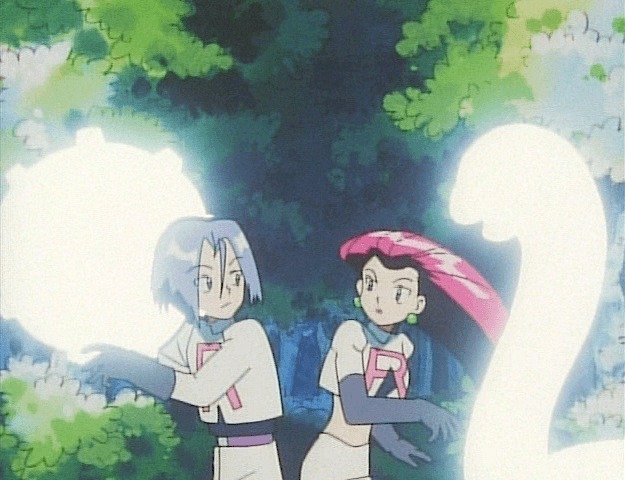 Pokémon Catcher has the advantage of being a target for Skyla, but I’m not sure you want to be using your Supporter per-turn on a coin flip card unless it was absolutely crucial. In most cases, I would wager that a play with more marginal value turns down the road would be better than playing Skyla for a 50-50 shot at hitting a Catcher. Although Genesect EX is a bit awkward, Red Signal is infallible. That is the main draw to Genesect over Pokémon Catcher. I should mention that you can actually search for Plasma, but it can be tricky, costly, and situational. Computer Search can grab one, and Skyla can search for CPU Search. That’s a lot of cards for one Plasma Energy, but unlike searching for Catcher with Skyla, Red Signal will work without fail. I’ll address the other issue people have with Genesect EX real fast too: prizing it. It’s a real risk, especially since prizing the Genesect means having three virtually useless cards in your deck, though you can attach Plasma to discard with Black Ballista. The deck with Genesect, like with Catcher, should be able to win a good percentage of games without the drag-up effect. Three Tropical Beach is unfortunately necessary in an era where The Yeti typically plays 3 Frozen City. It might be a good idea to play 4 Beach if you have them, but it is very possible to play around Frozen City, especially if you are able to Catcher/Signal Lugia and knock it out before it has the chance to trade 3-for-2 with one of your EXs. I don’t feel the need to explain what makes Blastoise so great. The core is unchanged, but perhaps I have opened your mind to a new way of messing with your opponent’s board state, including that of Gothitelle, which no deck with Pokémon Catcher can brag about. Gothitelle was no autoloss for Blastoise to begin with, but Genesect EX dramatically improves the matchup. 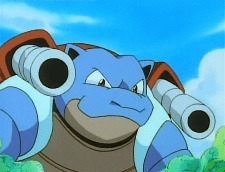 In my opinion, Blastoise is the best play for Regionals this year. It has minimal bad matchups and is extremely difficult to counter while also beating some of the other most common decks in the metagame. Blastoise only takes losses to Tool Drop, Garbodor and Emboar, and neither matchup is downright terrible. Garbodor can be borderline 50-50 if you invest in Tool Scrappers, and Garbodor is the only one of the three decks that is considered top tier. I recommend either playing several Scrapper or none at all. A single Tool Scrapper is not enough to sway the Garbodor matchup at all and is thus not worth playing on its own. If you choose to play Tool Scrapper over Catcher (the only way you can feasibly fit multiple copies of both in my opinion) like many of the older Blastoise lists did, keep your metagame in mind that you would be trading your favorable Yeti matchup for the Garbodor one. Its success depends on the meta. If you read the entire section on Blastoise, you probably don’t want to read another thousand words on the same deck with a red paint job, so I’ll try to keep this interesting. Realize that there are some key differences between Blastoise and Emboar decks. First, Emboar’s attackers are more efficient and cover three common type weaknesses, beating on Blastoise, Lugia EX and Empoleon, while destroying Virizion/Genesect in a way Blastoise cannot. Emboar struggles more against Hypnotoxic Laser and Darkrai, because it doesn’t have Keldeo EX’s Rush In for insurance against poor sleep checks. It’s perfectly feasible to play Keldeo in here, however Keldeo is much worse than Switch and Escape Rope when you start with an undesirable Pokémon, especially Tepig, who is a lot harder to retreat on the first turn than Squirtle. Playing three Switch cards kills two stones with one bird. Rayquaza EX is a more versatile attacker. It can do anywhere from 60 to 240 damage, depending on the situation. Obviously, Black Kyurem EX does the same amount each time, at the same cost, while Dragon Burst is much more efficient against non-EX Pokémon that 200 would be overkill against. Finally, Emboar fares very well against typical soft counters for Blastoise decks such as Suicune, Sigilyph, and Frozen City (the non-EX attackers take that damage particularly well). Emboar is quite literally a Blastoise clone with slightly different attackers and matchups. Although Blastoise is undoubtedly the more proven deck, Emboar does much better than Blastoise does. With the rise in popularity of Lugia EX and Virizion/Genesect, it might be a good time to consider a change from Water to Fire. Zekrom and Reshiram in particular have never been stronger. Fusion Bolt is amazing right now, and for some reason many people seem to forget that it can do 120 with Reshiram on the Bench, making it great against Lugia EX as well as Empoleon. Blue Flare is also a fantastic backup attack, and it contributes to this deck’s strength against Bouffalant and other non-EX attackers. Emboar versus Blastoise is truly a question of metagame. To surmise, I’d say that Emboar is stronger in a metagame with lots of Empoleon, Virizion/Genesect and Blastoise, while Blastoise is stronger against random decks, Big Basic decks, Gothitelle and Plasma decks (though both do well enough against The Yeti). The New England metagame was almost devoid of Genesect/Virizion before the tournament I played this in. Knowing that Gothitelle has good matchups all around save for decks with Virizion, I decided to call the meta and play something risky. This year I have little to lose, because I’m not playing for a Worlds invite, but for the wins themselves. This is the deck that I thought would have the best chance of winning that tournament. Keep this in mind as a deck for Cities. It’s probably best to stay away from decks as slow as this one for Regionals. Still deadly if no Virizion is around. Now, you all probably think I’m a joke. Here I am hyping Gothitelle with 6 Energies and Genesect, while way up there I was preaching about Genesect’s utility in Blastoise. By please don’t knock it until you try it. There are numerous upsides to both the Energies and Genesect, especially in this deck. I promise you, the loyal readership, that I don’t actually throw Genesect EX into random decks to compensate for the void that Catcher’s nerf left in my heart (Spoiler: I actually don’t miss it in the slightest bit). The Silver Bangle is mainly for Darkrai decks that happen to play Keldeo EX. You can’t deal with Keldeo as instantaneously as you could when Catcher was at the height of its power. 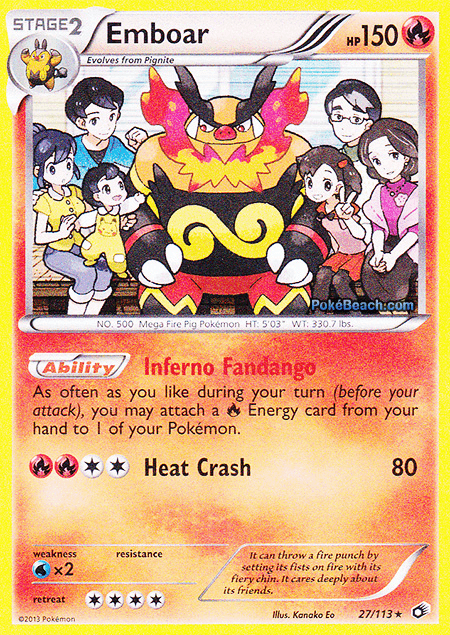 Bangle allows you to do more with the one turn window you often have to use Red Signal to bring up the Keldeo EX. With Bangle, you have the ability to OHKO Keldeo EX with an Accelgor’s Deck and Cover, and doing this, let me tell you, is one of the single best feelings I’ve ever had the pleasure to feel. Although the Blastoise matchup is still usually dictated by who gets the Stage 2 up first, Silver Bangle lets you OHKO Keldeo EX in any situation Blastoise decides to use it. Generally when you get Gothitelle out in that matchup, you’re in good shape if you manage to keep Keldeo in check. An undamaged Keldeo with four Energy used to be something Gothitelle never wanted to face down, but now you can deal with it by playing Skyla for Bangle, and attacking with Accelgor for 160 plus Poison. This allows you to limit the value of each Water Energy. Without the ability to retrieve Energy, they need 8 Water to OHKO a mere two Gothitelle, as long as you answer each KO with a Bangled Deck and Cover and another Gothitelle of your own. Though it might seem like a trivial point, it’s worth noting that Genesect is a capable wall against decks that don’t play Catcher or similar effects. Plasma Energies attached to it conveniently complement its retreat cost of one. By playing Plasma Energy and Genesect, you put a bit of strain on your space. 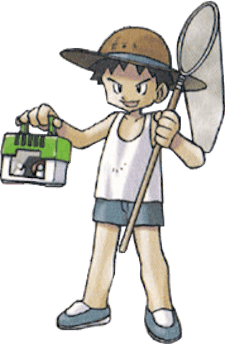 If your metagame just so happens to be devoid of both Virizion and Garbodor (unlikely, but mine was) you can afford to cut Tool Scrapper for more universally important cards. Using Town Map with minimal Dusknoir isn’t ideal, but it gets the job done in 60 cards. Prizing Dusknoir is unfortunate, but generally you will be taking Prizes before actually getting a hard lock down. During this period, you don’t actually need access to Sinister Hand at all (though it does make your life easier) playing one and prizing it is manageable when you at least have Town Map. Super Rod is in here for a similar reason. I wasn’t comfortable or able to play a single Dusknoir with 4 Gothitelle and no Super Rod. If I ever was forced to play a bad Juniper, I didn’t want to suffer without Dusknoir for the rest of the game. I compromised with 3 Gothitelle, 1 Dusknoir, and 1 Super Rod to maximize the strength and survivability of the deck in the late game. The deck needs a gust effect. I feel like some kind of Catcher effect is absolutely needed in this deck. Gothitelle’s Magic Room multiplies the power of these effects exponentially. Unlike in Blastoise, I don’t think a Gust of Wind type effect is something this deck can function without. Gothitelle is the ultimate control deck, and some sort of board control is crucial to keep the opponent in a hard or soft lock. Gothitelle thrives on keeping the opponent under control, and Catcher’s unpredictability doesn’t compliment this strategy very well, which is why Red Signal is a safer option to use in my opinion. With Gothitelle, you want to play a very careful, calculated game, and flipping coins completely takes this away from you. Those of you who remember 2013’s Gothitelle, remember a darker time in the history of the TCG. Gothitelle doesn’t play as dirty as it use to. This was a time when TDK could be shut out of the game as early as turn two and a time when Darkrai had to run two or even three Keldeo EX to beat the Gothlock with any consistency. Gothitelle is no longer the monster that tore through US Nationals. It’s extremely difficult to put someone in a hard lock and keep it all game. In the errata process, Gothitelle lost its most reliable stalling tool: no flip Pokémon Catcher. 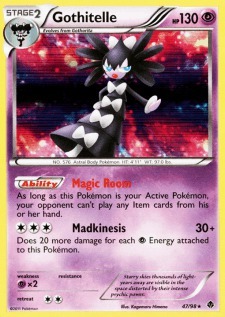 Not to mention the metagame has shifted, and Gothitelle’s most common victim, TDK, has taken a whole different form. Opposing Red Signal is an easy and effective way to shatter Gothitelle’s embargo (following it up by Scrapping Float Stones can easily shut Goth out of the game), Snorlax makes life difficult, and Tool Drop Pokémon have HP numbers not optimal for constant locking by Mew EX. 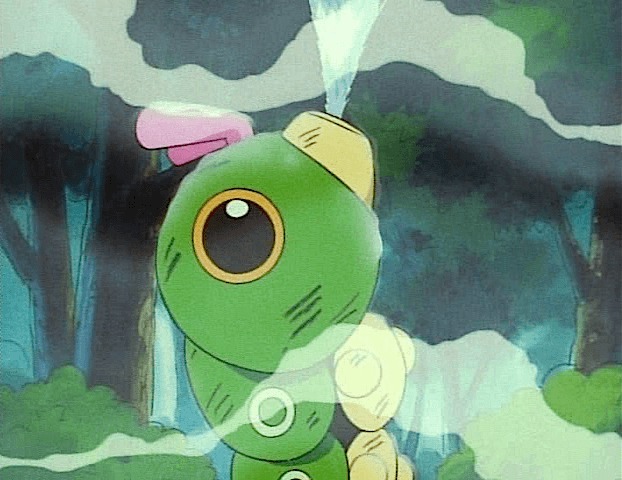 Gothitelle can only survive in a single very narrow latitude of the metagame. The deck obviously plays the best in a metagame with little to no Virizion. With the diversity of a Regional Championship, Gothitelle will be a hit or miss play, certainly a dark horse. It’s currently very underestimated and underrepresented in the National metagame and its power if often overlooked because people fear an autoloss. I don’t know what it is about autolosses that deter people. Even Tool Drop eats an autoloss from even a 1-1 Garbodor line, yet it is more commonly played than Goth. Perhaps this is because it’s easier to assemble and much easier to play. Still, give Gothitelle a chance; it’s a deck that can easily take an unsuspecting City when piloted by the proper hands. This is probably not a deck for Regionals, considering the metagame and the less than optimal time structure. Welcome to the second stage. There you have it, the three big Evolution decks. Some people might be asking where Empoleon is, but to be honest, I think Empoleon had its day. 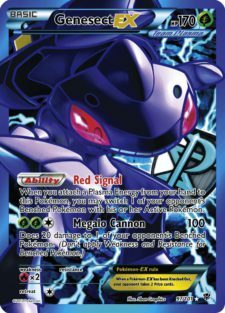 Red Signal and Catcher are seeing more use in a wider variety of decks, which often target and eliminate Dusknoir. The Yeti may have been the nail in the Emperor’s coffin, giving Empoleon a terrible matchup to deal with, and a common one at that. Blastoise is still the real winner of these three. No other deck commands such speed, power and synergy. It is without a doubt deck most cut out to win a Regional Championship in my opinion. With Catcher’s nerf, Blastoise’s only real weakness (the early game) is now a whole lot safer. I won’t be surprised to see it win Virginia’s Regional this weekend at all. Emboar might be the dark horse of the bunch. Over the later half of the Cities season, more good matchups for Emboar have been doing well, contributing to an environment more favorable for the Boar to succeed in. I don’t see it winning a Regional, simply because it is still highly underestimated and painfully underplayed. This isn’t to say the potential isn’t there however. Finally, my favorite, Gothitelle. Unfortunately, the stars were never aligned for the Astral Pokémon, and under the Regionals time structure, they probably never will be. Gothitelle is a very slow deck, although a powerful call in the right metagame. In my opinion it’s just not feasible to expect to play three games in 50 minutes, but 30 plus 3 is fine for it if the game’s pace is kept lively. Maybe I at least introduced you to a new variant of Gothitelle, or or at least a new way of using Genesect EX. I hope to grace the front page again as soon as I can make a place for Pokémon in my life. Right now I’m just not sure where Pokémon belongs. Best of luck to you all in 2014!